If there’s one thing that’s getting a major update on graphics cards, that’s the memory architecture. Over the last years, graphics manufacturers have emphasized a lot over two things, memory bandwidth and the video memory which are needed to drive the high resolution monitors of current era. SK Hynix, which are considered as the largest memory chip makers are readying their next generation of 8 GHz GDDR5 memory chips along with the latest stacked memory design using HBM (High Bandwidth Memory). 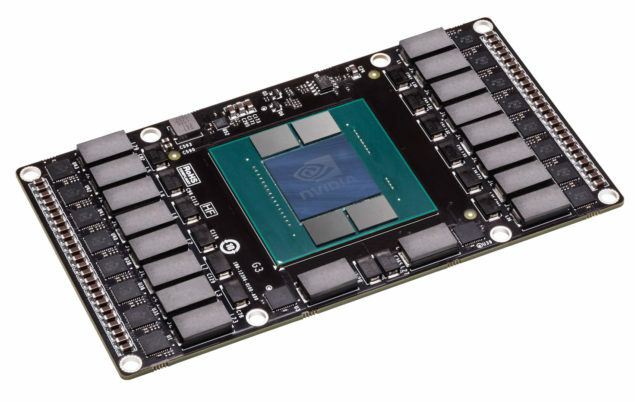 While graphics manufacturers select from a wide variety of memory chips, the most common is SK Hynix which have been used across a wide range of NVIDIA and AMD graphics cards. Going back a few years ago, AMD’s HD 7970 was launched with GDDR5 memory clocked at 5500 MHz (5.5 GHz) memory clock and its competitor, the GeForce GTX 680 was the first graphics card to push the clock speeds to 6008 MHz (6.00 GHz). A year later, we will see faster derivatives of the GCN and Kepler cores. While NVIDIA went with a 384-bit bus featuring a higher clock speed of 7.00 GHz that pumped out 336 GB/s bandwidth, AMD went with a 512-bit bus pushing for a 5.0 GHz clock speed giving them a 320.0 GB/s bandwidth boost. While the first generation of GCN and Kepler GPUs is over now, we are now transitioning to a new chapter in the graphics world. NVIDIA has already introduced their Maxwell graphics architecture which sticks with the 7 GHz memory chips while keeping a 256-bit bus which puts the bandwidth at 224.4 GB/s while AMD’s Tonga, that is considered to be a next generation part for the Radeon R9 300 series is keeping a similar 256-bit bus with 5.5 GHz sticking with a 176.0 GB/s bandwidth. While there was supposed to be a 384-bit Tonga XT GPU, the card was never launched due to Maxwell’s competitive pricing. We may see Tonga return back one AMD pushes for a new generation series but for now the fastest AMD card has a bandwidth pushing to 320 GB/s while NVIDIA’s GeForce GTX 780 Ti pushed this barrier to 336 GB/s. Now GPU makers have found ways to limit the bandwidth requirement in applications through color compression technologies but bandwidth still plays a vital role for the graphics processing units. SK Hynix has their latest 8 GHz GDDR5 chips ready for mass shipping along with stacked designs. While NVIDIA has currently no new card planned for their GeForce 900 series till Q1 2015 (according to reports), AMD on the other hand is focusing on a brand new series of cards which are presumably codenamed “Pirate Islands” and will be regarded as the “Radeon R9 300 and Radeon R7 300” series. NVIDIA has a clear approach, they will stick with the traditional memory designs in 2015 and move to stacked designs with their Pascal GPU which arrives in 2016 based on 16FF/16FF+. AMD on the other hand has been particularly interested in stacked designs as seen in several slides from months ago where they have shown concepts of APUs with stacked memory and as much as interested in using these designs in the graphics applications. The SK Hynix H5GQ4H24AJR-R4C, 128Mb * 32bit holds a capacity of 4Gb and adopts the FBGA package. The voltage is up to 1.55V from the 1.5V on current 7 GHz chips but that’s a nominal increase. While these high performance 8 GHz chips can be stacked on the memory designs, Expreview reports that production of the HBM memory for 4Hi stack (1.2V) holds a capacity of only 1 GB while complying to the GDDR5 standard. It’s clocked at 1 Gbps but delivers 128 GB/s on the first generation HBM node, The second generation holds a larger capacity thanks to 4/8 Hi Stack which amounts to 4 / 8 GB VRAM and is also faster with 2 Gbps speed that pumps out 256 GB/s. That’s a single stack and four of the first generation stacks can amount to a good 512.00 GB/s bandwidth with a capacity of 4 GB. Four stacks of second generation HBM can easily deliver 1 TB/s bandwidth which is what NVIDIA is pushing for with their 3D Stacked memory architecture on Pascal. While it cannot be confirmed which GPUs will make of these new memory technologies, the usual suspects would be GM200 on the NVIDIA front and Radeon R9 390X on the AMD front. Whether HBM will come home to AMD with their next graphics cards or will they stick with the current memory designs is something which only time will tell.